Hugh Jackman in a Winter Wonderland! He Still Gets Shocked by Large Snowfalls! A surprise snow fall is never fun, but for those who didn’t have the (dis)pleasure of growing up with it, might think differently. 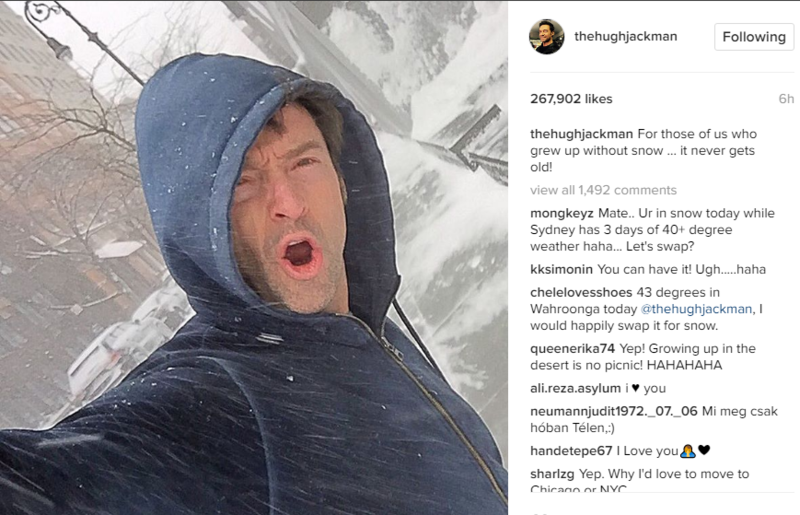 Born and raised in Sydney, Australia, Hugh Jackman is one of the select few who never got the chance to grow up with a snow day, and the X-Men alum took to Instagram to share his fondness for snow. When you think of Hugh Jackman pics, you usually think of shirtless, wet, and near a beach somewhere tropical. But the action star changed things up a bit by showing fans the wintery wonderland that surrounded him, looking more like an excited kid who just found out school was cancelled for a “snow day!” The picture was captioned, “For those of us who grew up without snow … it never gets old!” It’s not clear exactly where the Logan actor is, but we know his hoodie in the pic probably isn’t warm enough! Jackman’s shock to the snow and the expression on his face remind us that snow really is a beautiful thing! 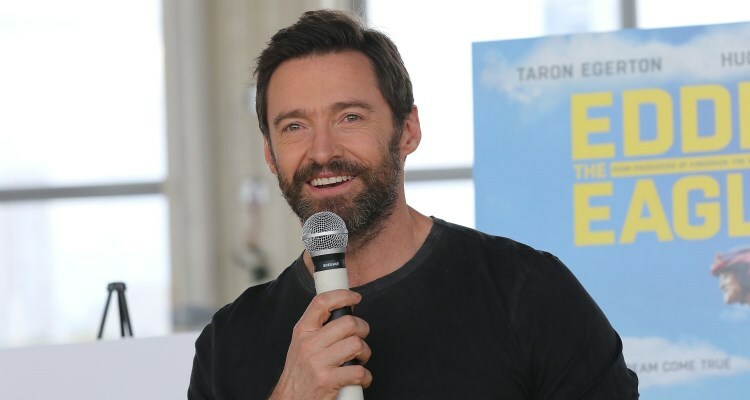 Hugh Jackman and winter look great together, as he brings out the kid in all of us in this pic! Jackman is back (and possibly for the last time) as the infamous mutant X-Man, known as Wolverine and fans are already looking for spoilers! The film is set somewhere in the near future, as an aging Logan helps an ailing Charles Xavier in a hideout near the Mexican border. But Logan meets a young mutant who is being chased by a new enemy. Logan hits theaters on March 3, 2017. Don’t miss it!